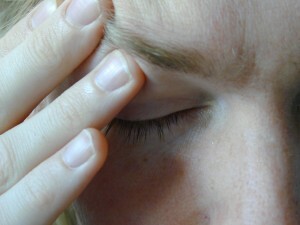 Can bad feet cause headaches? Can bad feet cause headaches ? Does standing and walking cause you to get headaches? If you regularly suffer from headaches on days involving a lot of standing or walking, it is possible that poor foot mechanics can be the cause. Each day, we walk and stand on hard unyielding surfaces. Our feet have a natural method of absorbing shock which is hampered by excessive foot pronation. This means that, for nearly 40% of us, the feet waste their natural ‘bounce’ at the wrong time in the gait cycle. This leads to a jarring effect travelling up the body. This chain-reaction creates affects throughout the body – including the feet, shins, kneecaps, hips, shoulders and even result in headaches & and neck pain. In some extreme cases, even temperomandibular joint affects (your jaw’s hinge joint) have been reported. While you might take an anti-inflammatory or aspirin to ease short term pains, that is not an suitable answer in the long run. You should always aspire to treat the cause and not just the symptoms. To assess if your feet are affecting you this way, call today to arrange an appointment for assessment by our podiatrist. The answer may be simpler than you think!